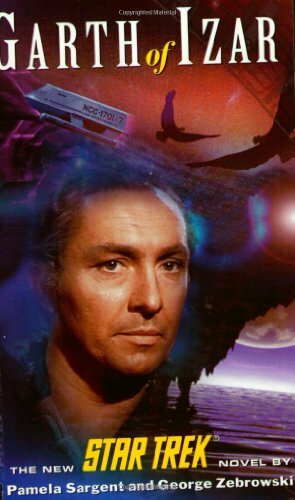 9781451641691 | Reprint edition (Star Trek, October 1, 2011), cover price $18.99 | About this edition: With their sun about to go nova, the people of Epictetus III face annihilation. 9780982514078 | Lightning Source Inc, August 30, 2010, cover price $29.95 | About this edition: Sentinels: A collection of stories and essays by some of Clarke's many colleagues and friends who were influenced by his writings and thoughts about human possibilities, and who continue as his sentinels by the doors to the future that he opened. 9781930846593 | Golden Gryphon Pr, May 1, 2009, cover price $24.95 | About this edition: In this nightmarish tale, a third-rate detective is faced with an impossible crime, asÂ bodies are turning up without their brains and without any indication of how the organs were removed. 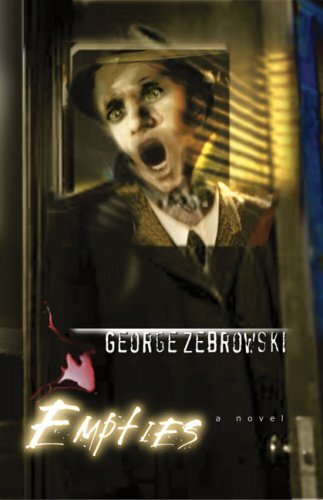 9781930846401 | Golden Gryphon Pr, April 24, 2006, cover price $24.95 | About this edition: This collection of 19 horror stories, culled from the career of a writer best known for his literary science fiction, explores horror as a product of the human mind by allowing personal, political, and metaphysical obsessions to unleash terrors that beset these characters and by refusing to rely on genre-typical terrors such as serial killers and ancient curses. 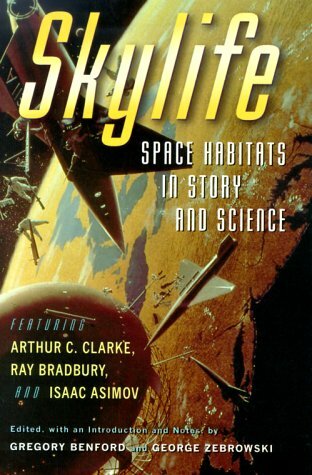 9781591023401 | Pyr Books, January 2, 2006, cover price $26.00 | About this edition: Subtitled "A Mobile Utopia", this pioneering novel, about the meaning of space habitats for human history, presents space faring as no work did in its time, and since. 9781591023418 | Reprint edition (Pyr Books, January 2, 2006), cover price $17.00 | About this edition: Growing up in a mobile, self-reproducing space habitat, John Bulero, a cloned descendant of the twenty-first-century clan that developed the original macrolife, rediscovers his roots when he falls in love with a woman from a natural world, a discovery that has profound implications as, billions of years later, macrolife is confronted by the ultimate end of nature. 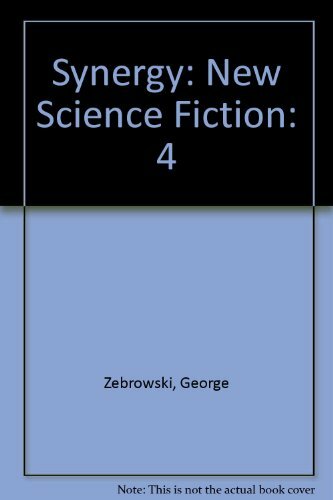 9781410402219 | Five Star, September 2, 2004, cover price $25.95 | About this edition: In the mid 1980s to early 1990s, acclaimed author and editor George Zebrowski created Synergy, an all-new collection of the best modern science fiction stories, which spanned four volumes and published some of the most innovative, thought-provoking, speculative fiction ever. 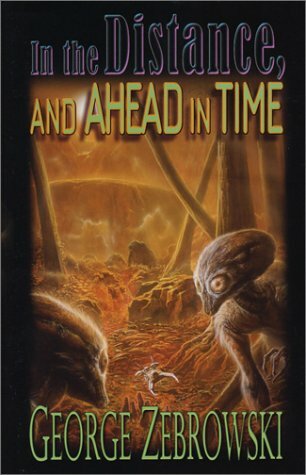 Apparently rehabilited from the insanity that resulted from the Antosians' treatment of his horrific injuries, Captain Garth returns to active duty, assigned to mediate a crisis on Antos IV with the help of Captain Kirk and the crew of the Enterprise, but Kirk begins to worry that Garth has renewed his plans for conquest. Original. 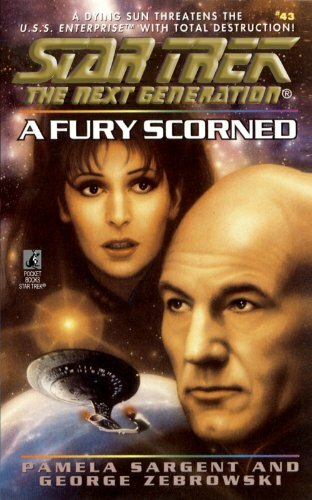 9780743406413 | Star Trek, March 1, 2003, cover price $6.99 | About this edition: Apparently rehabilited from the insanity that resulted from the Antosians' treatment of his horrific injuries, Captain Garth returns to active duty, assigned to mediate a crisis on Antos IV with the help of Captain Kirk and the crew of the Enterprise, but Kirk begins to worry that Garth has renewed his plans for conquest. 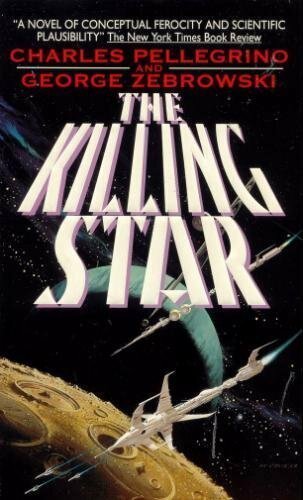 9780786246878 | Five Star, November 1, 2002, cover price $24.95 | About this edition: George Zebrowski offers 10 stories that present glimpses of our future including Nebula award finalist, Heathen God. 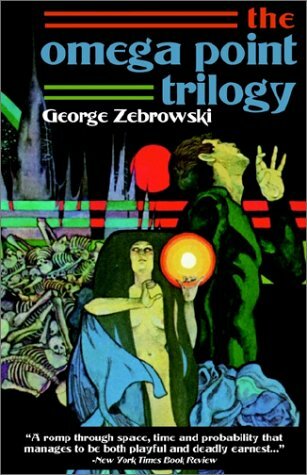 9780759205192 | E-Rights/E-Reads Ltd, June 1, 2002, cover price $17.95 | About this edition: 6599 A. 9780441623815 | Ace Books, November 1, 1983, cover price $2.75 | also contains Allah Gave Me Two Hands and Feet | About this edition: 6599 A. 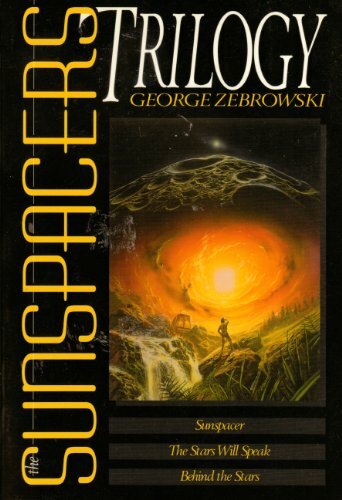 9781930846081 | Golden Gryphon Pr, April 1, 2002, cover price $24.95 | About this edition: Ranging from hard science fiction (ÂGÃ¶delâs Doomâ) to alternate history (ÂLenin in Odessaâ) to first alien contact (ÂBridge of Silenceâ), this collection delineates one of the unique voices writing science fiction today. 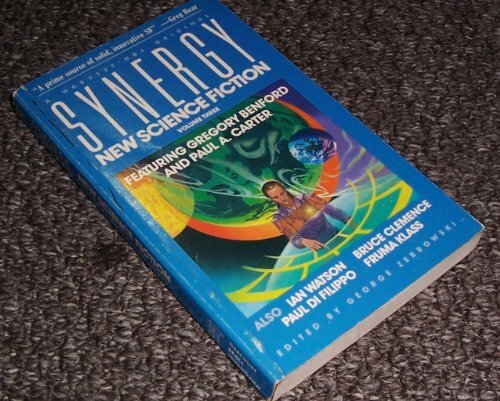 Product Description: When the Enterprise discovers a colony ship launched from Earth in the 22nd century, Captain Kirk decides to help the settlers on to their intended destination. But their new planet may not be the haven they hoped for. 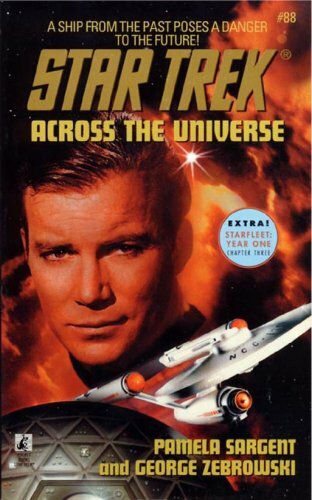 9780743454056 | Star Trek, February 17, 2002, cover price $8.99 | About this edition: When the Enterprise discovers a colony ship launched from Earth in the 22nd century, Captain Kirk decides to help the settlers on to their intended destination. 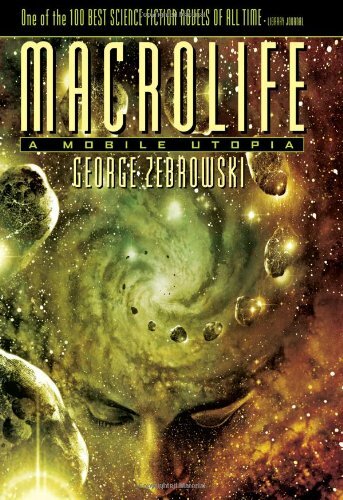 The arrival of survivors from Earth in the Tau Ceti system sparks a cultural conflict that will have long-term consequences for both civilizations, in the long-awaited sequel to Macrolife. Reprint. 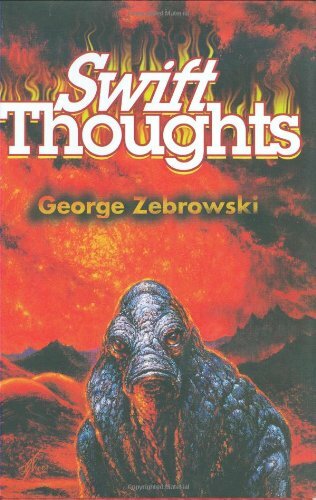 9780061058066 | Reprint edition (Avon Books, December 1, 2000), cover price $6.99 | About this edition: The arrival of survivors from Earth in the Tau Ceti system sparks a cultural conflict that will have long-term consequences for both civilizations. 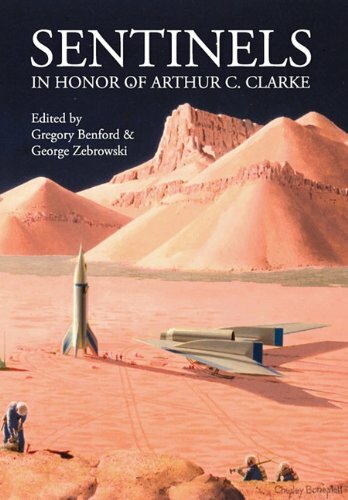 An illustrated collection of thrilling tales from science fiction masters such as Bradbury, Asimov, and Vinge focuses on life in space habitats and includes essays by scientists that discuss the potential realities of space stations and homes. 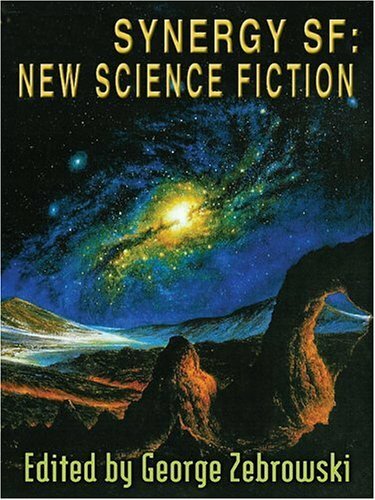 9780151002924 | Harcourt, April 1, 2000, cover price $28.00 | About this edition: A collection of tales from such science fiction masters as Bradbury, Asimov, and Vinge focuses on life in space habitats and includes essays by scientists that discuss the potential realities of space stations and homes. 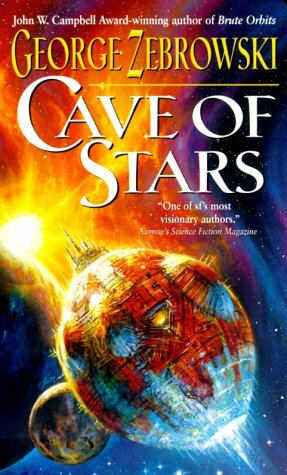 9780061058073 | Harpercollins, September 1, 1999, cover price $6.99 | About this edition: Asteroid prisons are created to rid the Earth of convicts, political prisoners, and lunatics, who create their own societies, but as attitudes change toward the penal system, a group of scientists sets out to discover what has become of these habitats. 9780606173612 | Demco Media, September 1, 1999, cover price $14.53 | About this edition: High crimes call for high punishment. 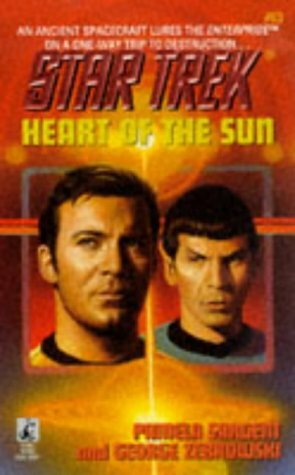 Captain Kirk and Mr. Spock must prevent an abandoned space habitat full of alien technological wonders from crashing into an inhabited planet while saving both from destruction. Original. 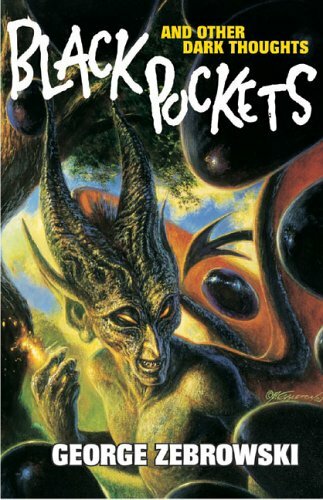 9780671002374 | Pocket Books, November 1, 1997, cover price $5.99 | About this edition: Captain Kirk and Mr.
9781565048560 | Reprint edition (White Wolf Pub, June 1, 1996), cover price $14.99 | About this edition: Explore the solar system and beyond with George Zebrowski's Sunspacers Trilogy: Sunspacers, The Stars Will Speak, and Behind the Stars. The only survivors from Earth after an alien species attempts to wipe out all life, a small group of people frantically studies the destructor's technology in the hopes of escaping the same fate. Reprint. 9780688139896 | William Morrow & Co, April 1, 1995, cover price $22.00 | About this edition: The opening chapter of an incredible adventure includes the destruction of Earth by ten thousand relativistic bombs launched by an alien race in a science fiction thriller and follows the desperate struggles of the remnants of humankind to survive in a hostile universe. 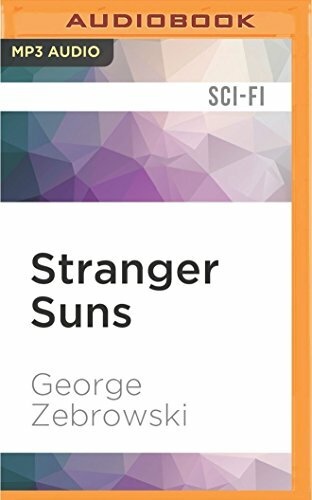 9781522686996 | Mp3 una edition (Audible Studios on Brilliance audio, July 26, 2016), cover price $9.99 | About this edition: The orbiting tachyon detector was designed by physicist Juan Obrion to identify life in other star systems, but even though he expected to find some signs of life, he certainly didn't expect to find any life on Earth. 9780156877008 | Harcourt, November 1, 1987, cover price $1.98 | also contains TDLS 2009: Selected Papers of the 7th International Conference on Tunable Diode Laser Spectroscopy, (TDLS 2009), Zermatt, Switzerland, 13-17 July 2009 | About this edition: Stories by Frederick Pohl, Ian Watson, Gregory Benford, Brian W.